I love crafting – but it can be very wasteful! So now that I craft with my daughter, I really try to find greener craft ideas that aren’t going to be a waste of materials and create more garbage. 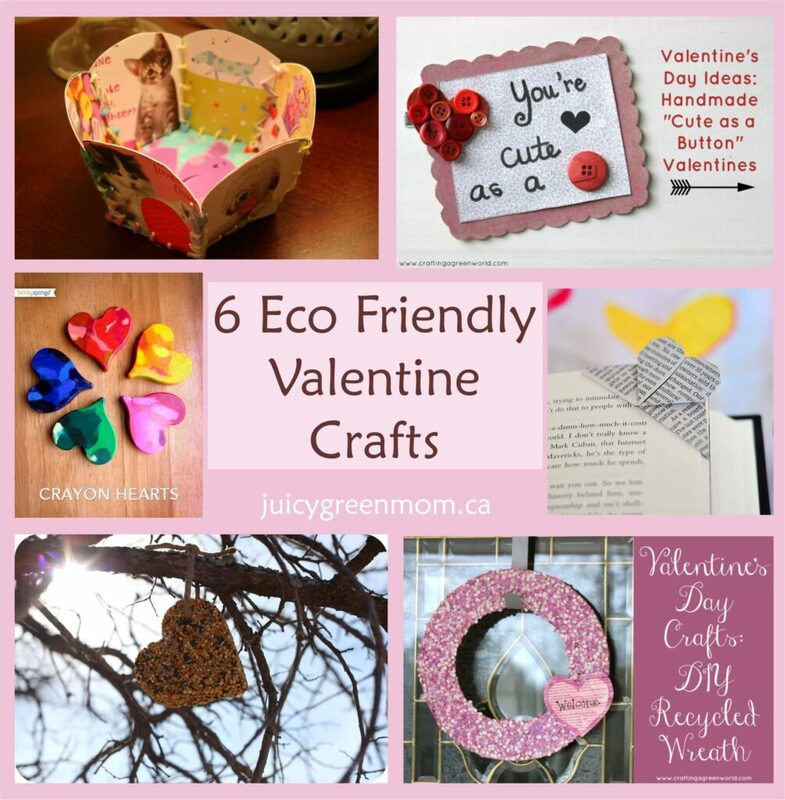 Here are some great eco friendly Valentine Crafts I found! 1. 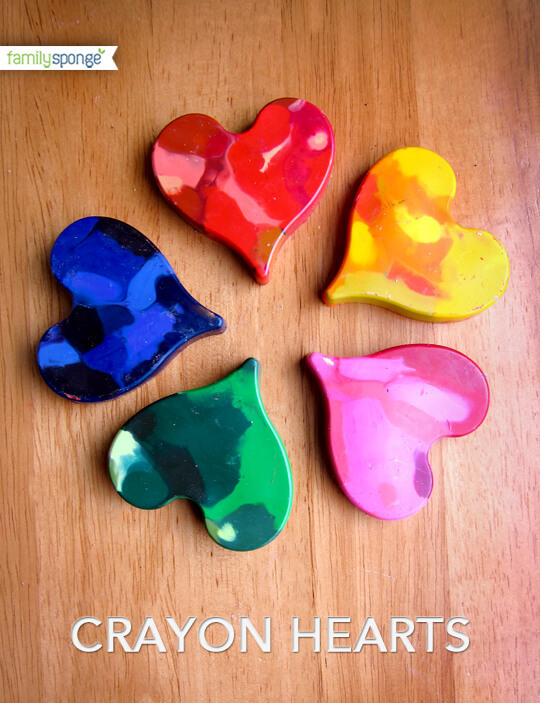 I’ve seen these Crayon Hearts from family sponge before, and love them! A perfect way to make use of those broken crayons (my daughter just spent an evening tearing the wrap off crayons into tiny pieces, so we are ready to rock!). 2. 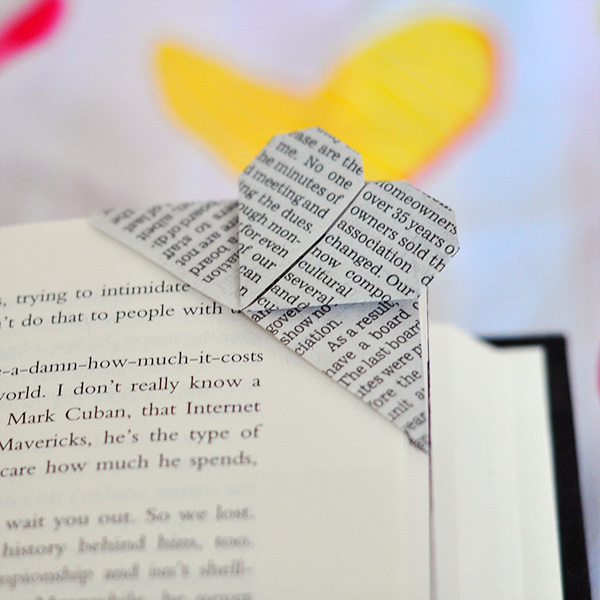 This Book Page Corner Heart Origami Bookmark from The Cheese Thief is so simple and sweet. And you can reuse ANY kind of paper to make them – easy enough to do for a whole class of kids! 3. 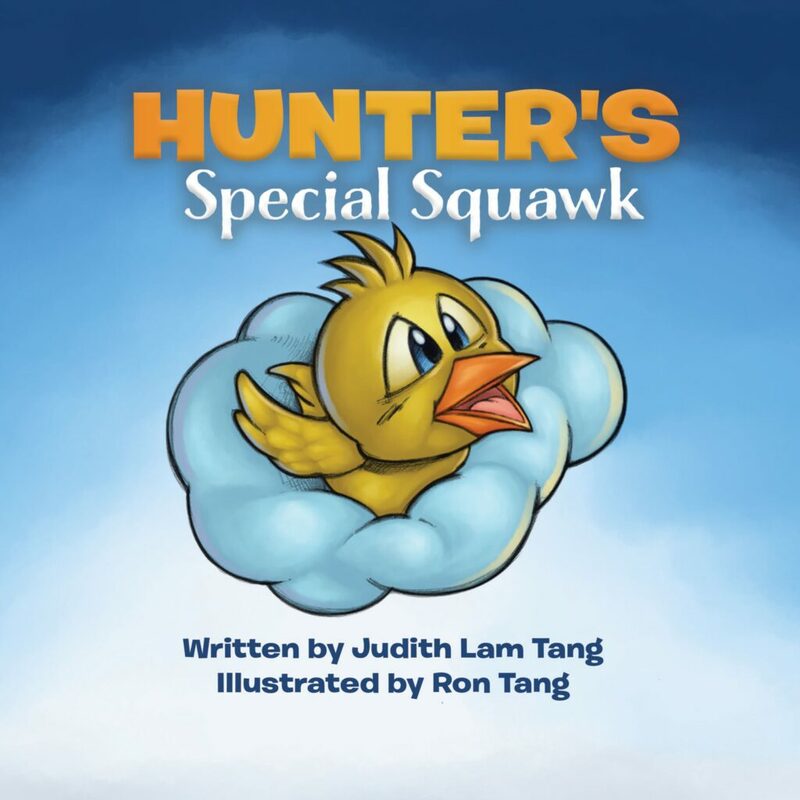 How about some love for the birds? 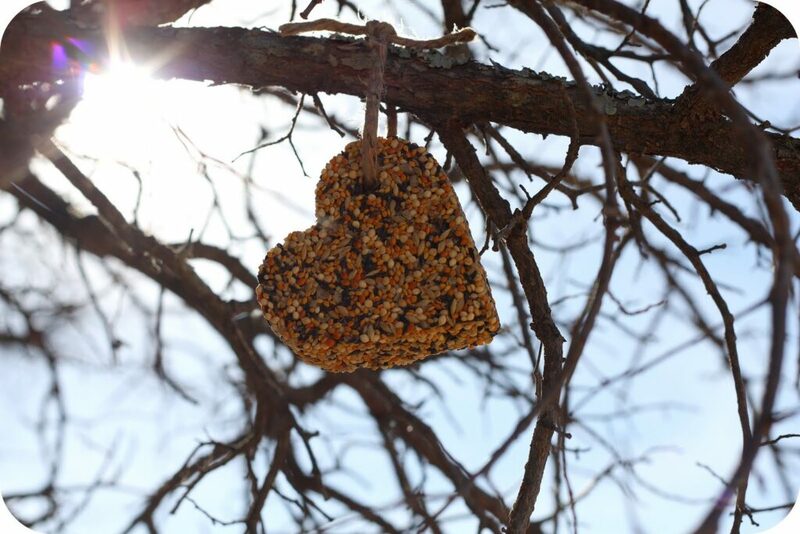 Heart-shaped Bird Treats from Smile Monsters are lovely. 4. 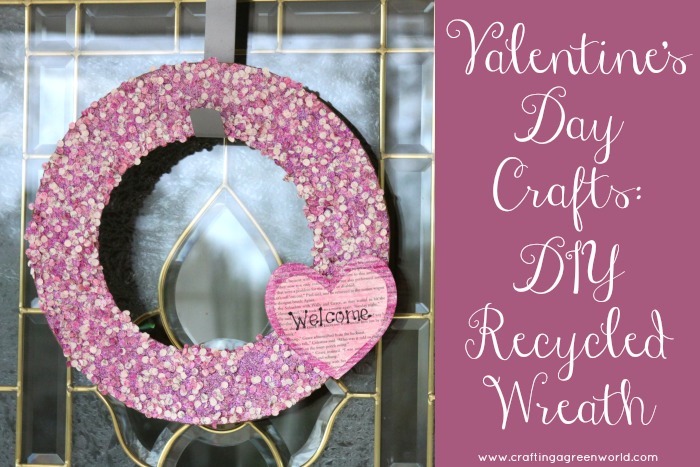 This DIY Recycled Wreath from Crafting a Green World is super cute! I can only imagine how much fun kids will have hole-punching paper! 5. If you have buttons to use, this Button Heart Hair Pin from Feelgood Style is adorable and simple. You can put it onto these “Cute as a Button” valentines from Crafting a Green World made with junk mail envelopes and cardboard for an awesome valentine gift! 6. 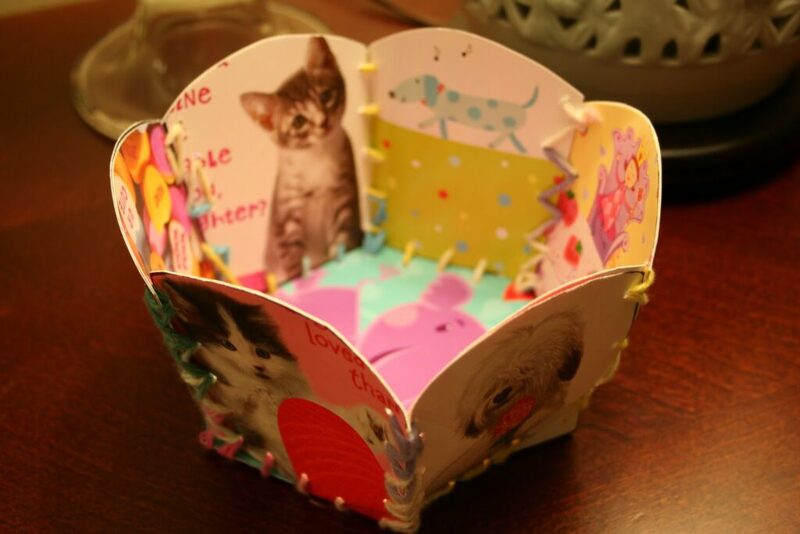 I love recycling Christmas cards into things – now here’s a cute Recycled Valentine’sDay Card Basket from Pink and Green Mama! What will you craft for Valentine’s Day?